(JTA) — The Israeli film “Footnote” and veteran Jewish filmmakers Woody Allen and Steven Spielberg are up for Academy Awards. Oscar nominations were released Tuesday by the Academy of Motion Picture Arts and Sciences. Israel’s hope for its first Oscar was kept alive with Joseph Cedar’s “Footnote,” listed among the five finalists in the foreign-language film category. The story of the rivalry between two Talmudic scholars, who are also father and son, marks the second Oscar nod for Cedar following “Beaufort” in 2007. 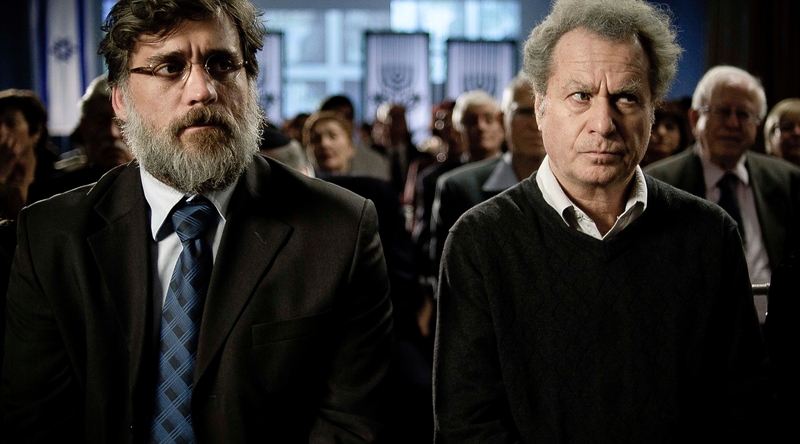 The toughest competition for Israel will likely come from Iran’s entry, “A Separation, which won the Golden Globe earlier this month,” and the Polish film “In Darkness.” Agnieszka Holland (“Europa, Europa”), whose Jewish father was killed in the Warsaw Ghetto and whose non-Jewish mother fought in the ghetto’s uprising and was a member of the Polish Underground, tells the true-life story of a dozen Jewish men, women and children who hid in the underground sewers of Lvov for 14 months during the Nazi occupation of Poland. Allen was tapped for best director and best original screenplay for “Midnight in Paris,” which also was nominated for best picture along with Spielberg’s epic World War I movie “War Horse.” However, Spielberg’s “The Adventures of Tintin,” which won a Golden Globe, surprisingly did not qualify in the best animated film competition. Aaron Sorkin (with Steven Zailian) was nominated for best adapted screenplay for “Moneyball.” Jonah Hill, the surprise hit of the film after graduating from his shaggy boy roles in “Superbad” and “Cyrus,” was nominated in the best supporting actor category. Oscar winners will be crowned Feb. 26 at the Kodak Theatre in Hollywood.